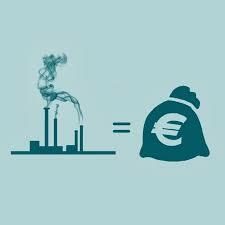 One of the core principles of sustainable development is the “Polluter Pays” Principle. This recognises that the polluter should pay for any environmental damage created, and that the burden of proof in demonstrating that a particular technology, practice or product is safe should lie with the developer, not the general public. Unfortunately, when and how much the polluter should pay is often unclear. One way to adequately implement the polluter pays principle in the real world makes use of what are known as assurance bonds. Money put up by the “polluter” to insure against a worst case environmental impact, the bond would be recovered only if after sufficient time it had been demonstrated that the technology, process or product in question had been deemed to be safe as was reasonably acceptable. Alternatively, if damage occurred, the bond would be used for environmental restoration, and to pay damages to anyone who had been harmed. By allowing the bond to accrue interest, the “polluter” receives an incentive to ensure that best environmental practice is followed, and to demonstrate that the technology, process or product is as safe as is practicably possible, without involving excessive cost.